ITIL is outlined in such a way that it assists everyone to emphasize on the requirements of the customers and user experience rather than concentrating too much on the technology matters when interacting with customers. ITIL training inspires professionals to think about innovative ways of advancing and working for better customer satisfaction. With ITIL certification, professionals can contribute efficiently for superior service delivery and changing behavior. This helps to adapt the culture of the organization’s, e.g. from a reactive to a proactive culture. ITIL assists service providers to work with their business, user’s suppliers, customers and many more in an excellent way by contributing procedures and models. ITIL training helps individuals to grasp the modus-oprendi and models and which upon applying provides a service provider an aggressive and competitive edge on others. 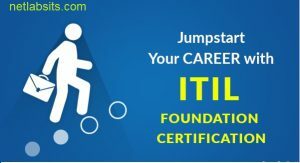 ITIL training and certification would intesify the competitive edge of IT managers, directors, business analysts, and consultants.